It's time for the May new release from Your Next Stamp! 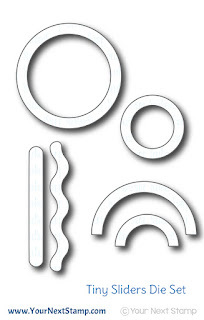 There is so much fun in this release along with some clever dies to feed your creativity. Like any YNS release, you will not be disappointed with the lineup Karen has put together for this release. 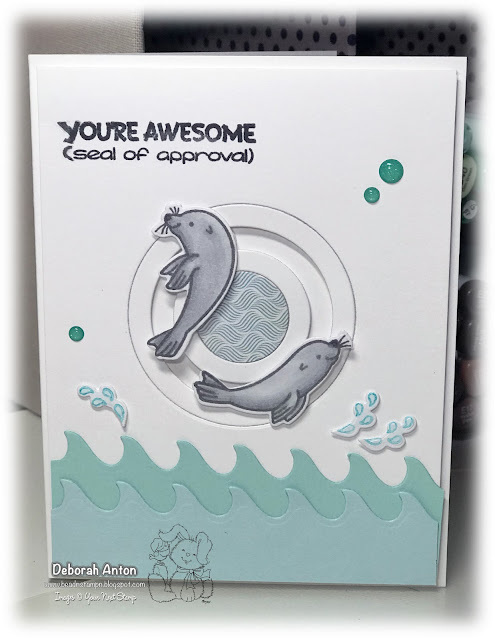 For my sneak peek, I am using the new set of Sea Friends, Tiny Waves, and the new Tiny Sliders die set to create this spinner card. 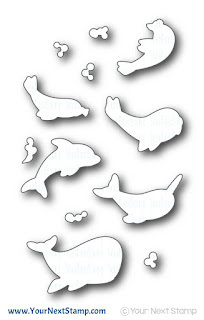 The images were stamped and colored in with Copics before being cut out with the coordinating die. 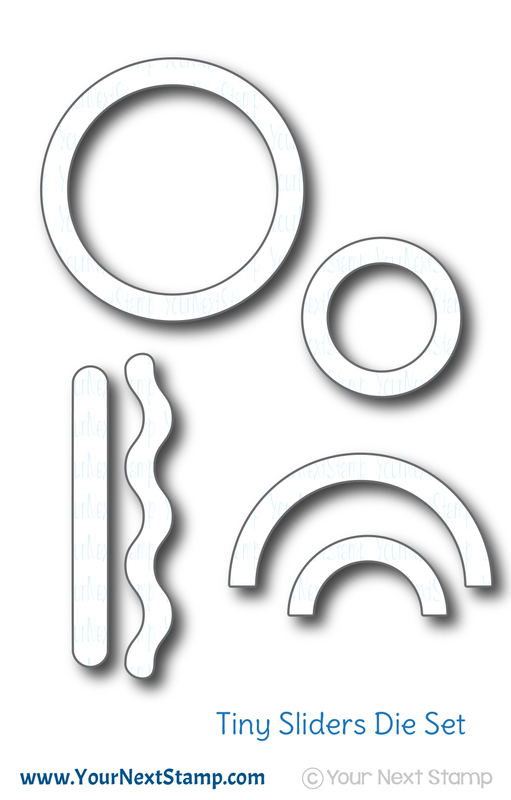 I created the spinner center with the Tiny Spinner set and cut out some waves for the water below before adding the seals to the spinner. 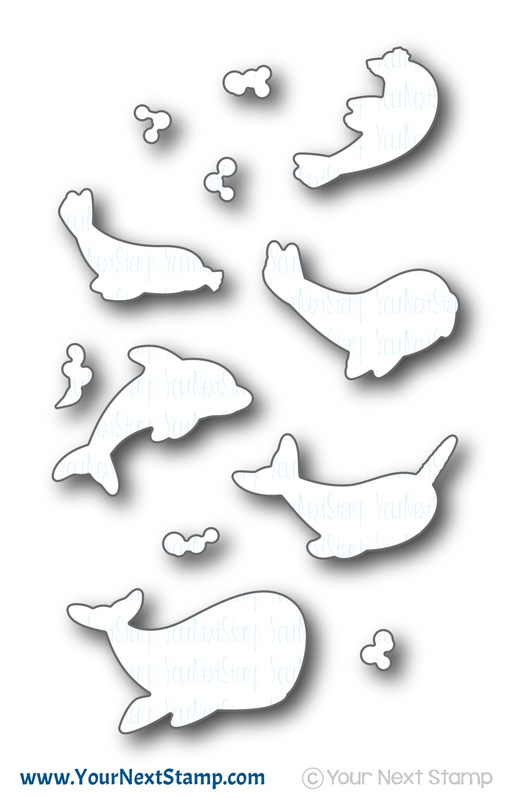 For an added element, I stamped, cut out, and popped up the little water drops that are included in the Sea Friends set. 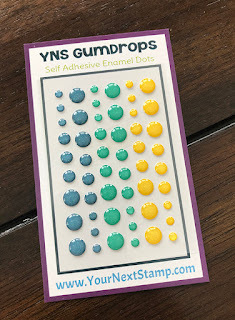 The card was completed with some fun new Gum Drops. This card was fun to make and didn't take as long as I was expecting! 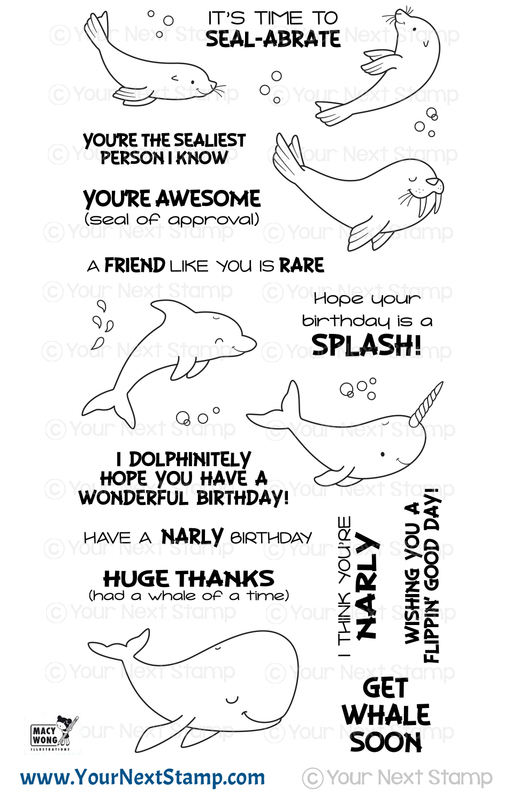 Perfect to give to your friend whom you give a "seal of approval!" Be sure to stop by the YNS Blog to see all the awesome sneaky peeks the DT have made. And then don't forget to head back here for the new release blog hop! Thanks for stopping in and hope you have a great Saturday!! The slider dies are awesome! 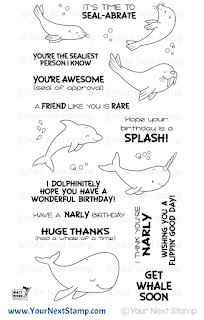 Adorable interactive card, Deborah! I love seals... they are so funny.